Which odor control products remove odor at its source, and what products only disguise the smell? Many odor management products “deodorize” smelly areas by spraying chemical-based fragrances into the air. However, this will only mask odors and not eliminate them. In fact, these solutions can even cause allergic or asthmatic reactions in those with sensitivities to the chemicals circulating in an indoor environment. However, there are eco-friendly odor management solutions that are engineered from formulas that are natural and safe to use. These types of products are made from a proprietary blend of plant oils and water and contain no harmful VOCs, no alcohol and no masking fragrances — making them safe to use in any commercial environment. Many people have a perception that eco-friendly solutions are not as effective as chemical-based odor management products. We are finding that this is the furthest from the truth. In fact, new innovations based on these blends of natural ingredients actually eliminate odors fully, and are, of course, a much safer option. Other chemistries such as hydrogen peroxide products can also help neutralize some of the odors by oxidation. 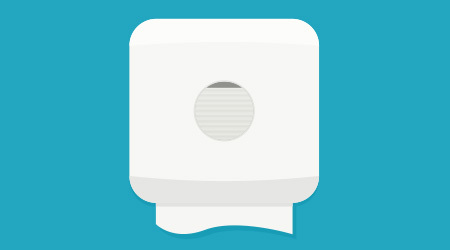 Air freshener technologies can help mask and disguise the smell. These are temporary fixes to odor problems. Air fresheners may contain odor counteractant chemistry that can bind with the volatile foul smelling components and block them from getting to the olfactory senses. The downside to that is you have to keep spraying them in order to keep up with the output of the offending compounds. Cleaning is always the preferred method for odor control. Surfactant-based cleaners, can be used to clean urine from hard surfaces, thus removing the food source for odor causing bacteria. Acid cleaners break down urine salts and remove the food source for odor causing bacteria. Disinfectants kill the odor-causing bacteria. Biological or enzyme products digest the odor causing bacteria’s food source. Air fresheners are a masking agent, and typically do not remove the source of the odor. These could be particularly useful for in-between cleanings and control odors while washrooms are in use. Odor counteractants typically work by encapsulation of an odor molecule so it is not detected by a human nose. When odors are coming from inside the toilet, automatic cleaning and deodorizing drip systems for urinals and commodes, eliminate odors at the source while keeping fixtures and pipes clear. These systems offer controlled and continuous dispensing of fragrance directly to the odor source via a secure wall mount dispenser. There are enzyme based “no fragrance” units that can be installed on flushers or designed to work automatically in urinals and commodes. These products deliver enzymes and surfactants through the spud-pipe with every flush to help remove scale and stains, soften water, and unclog pipes. Urinal screens, which mold to the shape of the urinal, also protect and deodorize. When cleaning areas existing odors are coming from, scrubbing the source from where the malodor is coming from and allowing for disinfectant, enzymes or live bacteria to work is key. Remember, to rinse the area with water or cleaner designed for the surface cleaned is an important step after working the area where the malodor is coming from.